shopping at Kroger and using your Kroger Card! Join Kroger's Community Rewards program today! It costs you nothing, but makes money for Planned Pethood. New participants can enroll at any time. All current participants must re-enroll for the program each year. Kroger will NOT send you a reminder that it is time to re-enroll. In order to earn funds for Planned Pethood you must re-enroll. This will ensure Planned Pethood will continue earning rewards during the following year. Click on OHIO to sign up for your Kroger.com account. The Northwest Ohio region includes a few stores in the Southeast Michigan area. 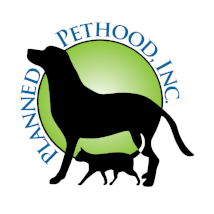 Select Planned Pethood as your favorite non-profit. Our unique number is 84655. Send an invitation to your friends and family to invite them to do the same. Swipe your Kroger card every time you shop...and shop at Kroger more often. We encourage you to enroll anytime; however, early enrollment will help us grow our rewards immediately and get a bigger check every quarter. On average we earn about $800.00 per month by doing nothing but using our cards when we shop at Kroger.